Fans are about to get another serving of Miami’s finest as ¡MAYDAY! has officially dropped news of their next Strange Music release. The Thrift Store Halos EP will be the group’s next scheduled release according to a recent update on the web. 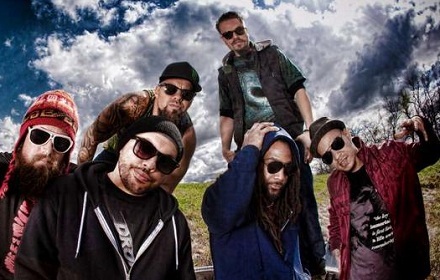 The news comes just after ¡MAYDAY!’s outing on the record-breaking Hostile Takeover 2012 Tour. The EP will follow ¡MAYDAY!’s full-length Strange Music debut, Take Me To Your Leader, which earned critical praise for its risk-taking sound. Known for their constant grind in the booth, ¡MAYDAY! is making it all about the music in 2012. What do you think about the new EP? Are you excited for more music from ¡MAYDAY! ?